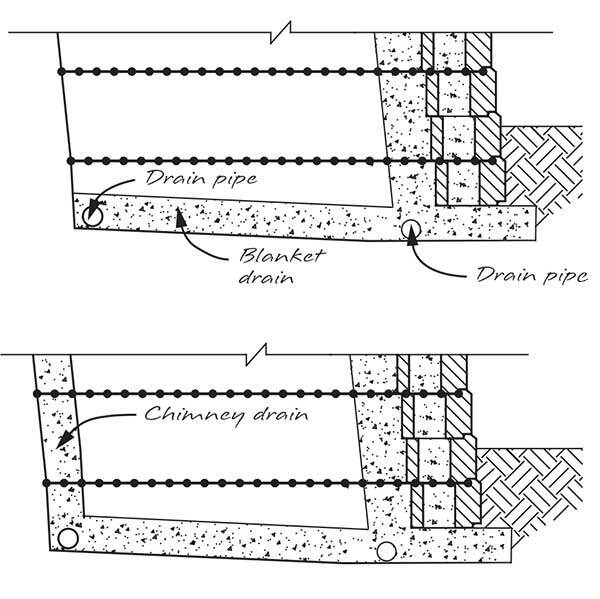 Blanket and chimney drains are a great way to handle excess water in retaining wall applications. They are primarily used If migrating subsurface water is on the site. If site soils are used that do not have granular characteristics, a chimney and blanket drain should also be considered to ensure the infill mass stays as dry as possible. 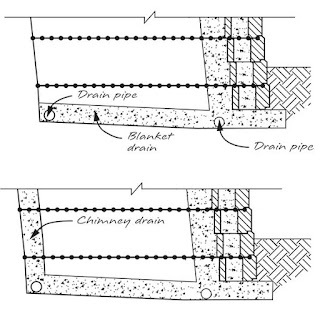 For a visual reference, see Allan Block Chimney and Blanket Drain detail.